Rob Joyce, the White House cybersecurity coordinator, told a forum at the Washington Post that officials were studying ways to use "modern cryptographic identifiers" to replace social security numbers. Joyce's comments come after news that some 145 million Americans may have had personal information leaked, including the important social security numbers, in a breach at Equifax, one of three big US firms which collect data for credit applications. "I feel very strongly that the social security number has outlived its usefulness," Joyce said. 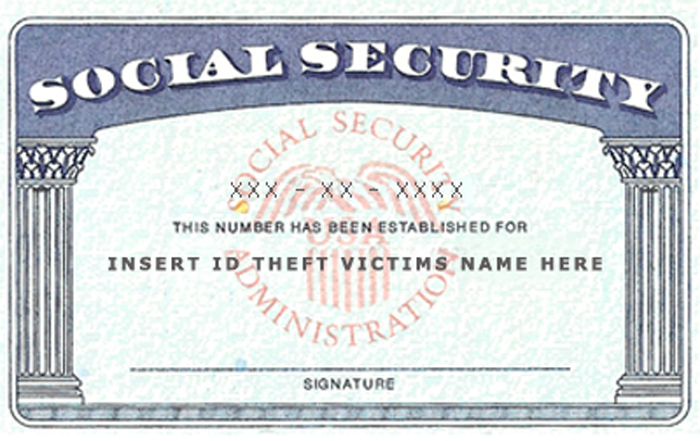 "If you think about it, every time we use the social security number we put it at risk," Joyce said. "That is the identifier that connects you to all sort of credit and digital and information online." He said the administration has asked officials from several agencies to come up with ideas for "a better system" which may involve cryptography. This may involved "a public and private key" including "something that could be revoked if it has been compromised," Joyce added. The official spoke as US lawmakers opened hearings on the Equifax breach, believed to be one of the worst because of the sensitivity of data leaked. Former Equifax chief executive Richard Smith told a congressional panel that the breach stemmed from both human and technological error, while offering a fresh apology to consumers affected.